Try a Stay Put Suction Bowl for free! 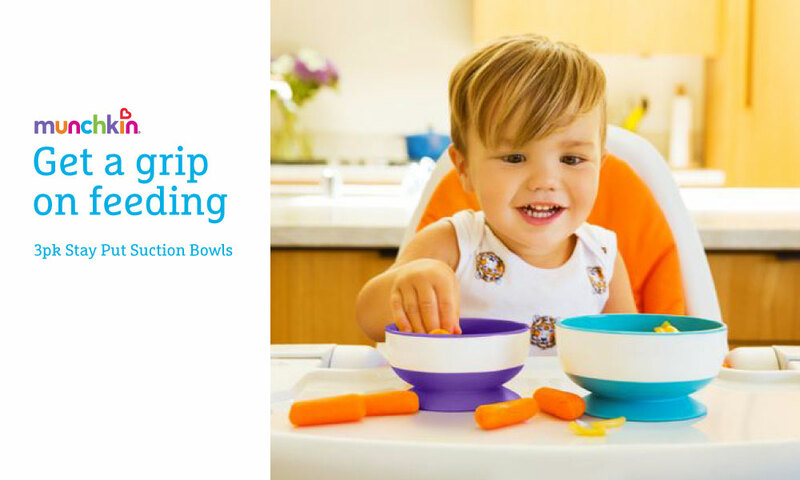 Avoid spills and mess with the Munchkin Stay Put Suction Bowls. The suction bases are permanently attached and will hold everything in place. Pack of 3 bowls (1 x Small, 1 x medium, 1 x large) 1 snap-tight lid included. Suitable from 6 months+ BPA Free . 20 Stay Put Suction Bowls to try!